Have you ever whined about politics on Facebook or Twitter? Thanks to a new law passed in Vietnam this week, that ‘misuse’ of social media may be enough to warrant a fine of over $4,700. First reported by Reuters, Vietnam’s new law makes it possible for authorities to issue fines of up to 100 million dong ($4,740 to be exact) to anyone who is caught criticizing the government on social media. An attempt to crackdown on the number of political dissidents who speak out against the communist regime, this new law is only the tip of the iceberg. 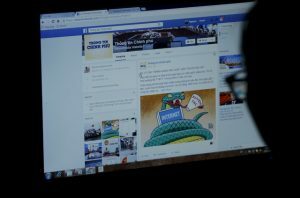 In previous years, Vietnamese bloggers and political commentators have seen an increasing rate of arrests and convictions, making social media a plausible next step for the communist regime. Although the law is quite vague, it does officially state that people spreading “propaganda against the state” and “reactionary ideology” are subject to this fine, which could definitely include social media. The US Embassy in Hanoi released a statement commenting that it is “deeply concerned” by Vietnam’s new law, and has reached out to the local government. Internet penetration has long been on the rise in Vietnam, with around one third of the country officially online. However, despite the strong rise of the internet and social media in the country, it is measure such as this new law which prompted Reporters without Borders to brand Vietnam as one of the “enemies of the Internet” earlier this year.